"I have been with ImSol for over 12 years. In this time I have developed an expanding service support system putting the needs of our customer first. Whilst the equipment evolves, support has always remained at a consistent high standard. I enjoy working with complex equipment and it never ceases to surprise me how these systems are used in the various scientific fields. The company has an amazing group of people with complimentary skill sets that cover a wide range of equipment, applications and experience. It is these people who with their incredible abilities that provide remarkable solutions for difficult problems. 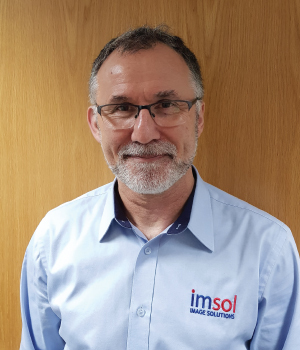 I feel very privileged to be involved with and part of a group of people and a company that provide solutions for imaging."